The top results at the Bonhams Paris 2018 sale were the ex-Earl Howe, Pierre Levegh 1935 Bugatti 57T and the 1904 Fiat Type 24/32 rear-entrance tonneau that each achieved €713,000 ($874,000). 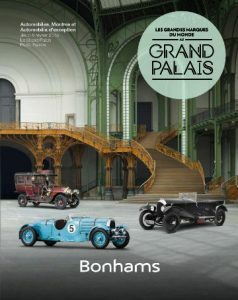 The two best results at the Bonhams 2018 Grandes Marques du Monde au Grand Palais sale during the Paris Rétromobile week were €713,000 ($874,000) paid for a 1935 Bugatti 57T and a 1904 Fiat Type 24/32 rear-entrance tonneau. A 1926 Bentley 3-Litre Red Label Speed Model Tourer sold for a model record €701,500. Appropriately for a Rétromobile week auction, vintage and veteran cars were top performers throughout the sale with half of the top ten results for pre-war cars. Bonhams held its seventh annual Grandes Marques du Monde sale in the Grand Palais in Paris on 8 February 2018 during the annual Rétromobile Week. The marathon sale lasted more than 7 hours, and achieved a total of €14,930,317 with 77% of lots sold. The sale included around 200 automobilia lots and 130 cars. 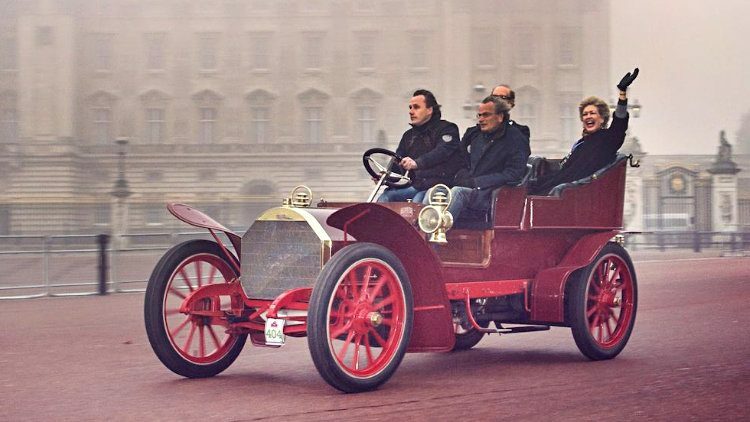 Vintage and veteran cars were the top performers throughout the Bonhams Paris 2018 sale, with both the ex-Earl Howe, Pierre Levegh 1935 Bugatti 57T and the 1904 Fiat Type 24/32 rear-entrance tonneau achieving €713,000. The Fiat 24/32 was offered from the collection of the late Jan Bruijn, a stalwart of the European veteran motoring scene. 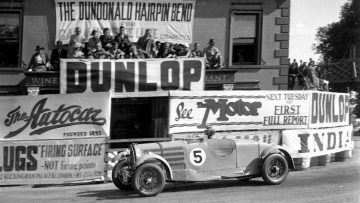 An auction world record was achieved when the 1926 Bentley 3-Litre Red Label Speed Model Tourer sold for €701,500. A highlight of the sale was the 19-lot collection of the late European collector, Jacques Vander Stappen. The entire collection found buyers, and many sold for well above their pre-sale estimates. The top lot was the beautiful and rare 1907 Minerva Type K 40HP Limousine/torpedo convertible, which achieved €603,750 against an estimate of €350,000—450,000, followed by a second example from the Belgian marque, a 1934 Minerva Type AL 40 CV coupé sport which sold for €391,000. More modern classics performed similarly strongly across the board, with the 1974 Lamborghini Countach LP400 ‘Periscopo’ achieving €638,250 and the 1958 Jaguar XK 150 S 3.4-Litre Roadster which realized €219,050. The 1970 Ferrari 365 GTB/4 Daytona Spider Conversion also sold for a strong €517,500 ($634,000). These conversions are often hard to sell and frequently achieve less than an unmolested berlinetta would. A real Daytona Spider could sell for at least four times more. Further highlights included the 1928 Bugatti Type 40 Grand Sport, which realized €529,000, exceeding its pre-sale estimate of €300,000-400,000, and the 1954 Aston Martin DB 2/4 3 litres cabriolet which sold to a buyer in the room for €391,000. The beautiful 1936 Alta 2-Litre Sports also found a new home, selling to a bidder in the room for €345,550. Bonhams offered only three cars at the Paris 2018 sale with upper estimates above a million euro. All three cars underwhelmed. 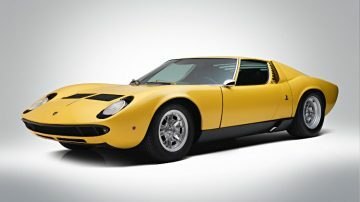 The highest bid at the auction was a million euro for a 1968 Lamborghini Miura P400 S Coupe, estimate €1,200,000-€1,400,000, but was not accepted. If accepted, it would have been within recent results for the model. The ex-Earl Howe, Pierre Levegh 1935 Bugatti 57T was the top result at the auction but still slightly below the €780,000 – €1,300,000 estimate. 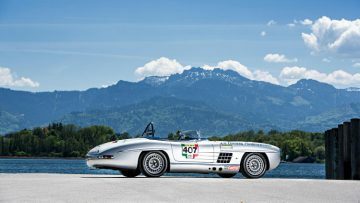 The 1957 Mercedes-Benz 300 SL Roadster to SLS Aluminium Competition Specification sold for a rather disappointing €632,500 ($775,000). This recreation on a 1957 300 SL Roadster body of Paul O’Shea’s original aluminum bodied car was offered without reserve with a presale estimate of €900,000 – €1,200,000). The car previously failed to sell at the 2017 Bonhams Chantilly Sale when it still had an estimate of €1,500,000-2,500,000. Bonhams next major classic car auctions are the Amelia Island sale in Florida and the Goodwood Members Sale in England in March. More exiting is the Goodwood Festival of Speed sale in July that Bonhams announced at the Paris auction will be led by the 1961 Aston Martin DB4GT Zagato ‘2 VEV’ and the Monaco sale in May where Ayrton Senna’s Monaco Grand Prix winning 1993 McLaren will be on offer.